New doors, drawer heads and wood veneer facing material in white and distressed charcoal. 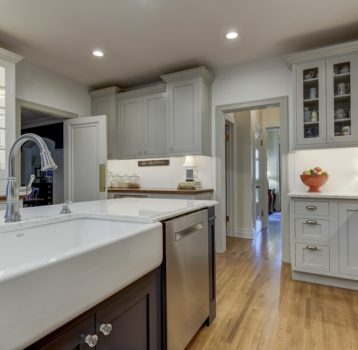 Bold crown moulding, Silgranite undermount sink, granite tops. 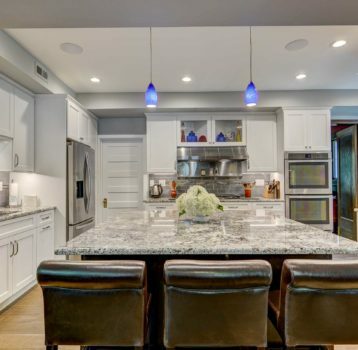 The homeowners definitely had the desire to update their kitchen, but a full remodel wasn’t necessarily needed. 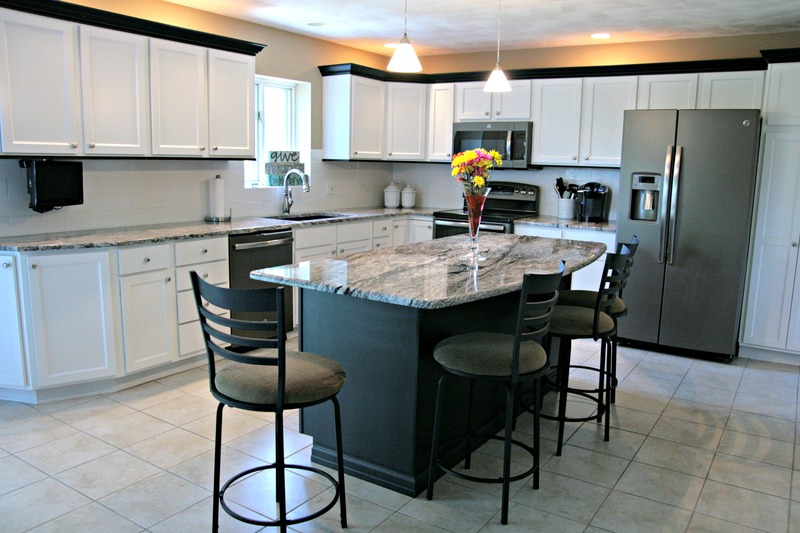 Major updates to this family kitchen were made via full reface of lower, upper and island cabinets all within a nice short time-frame -- minimal time and minimal mess involved. 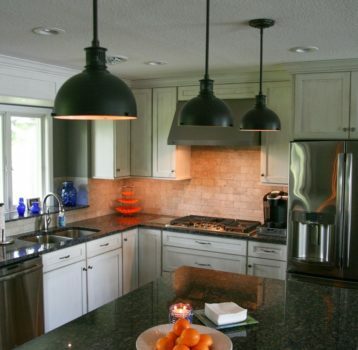 Add gorgeous granite countertops, modern crown moulding and goals are accomplished.